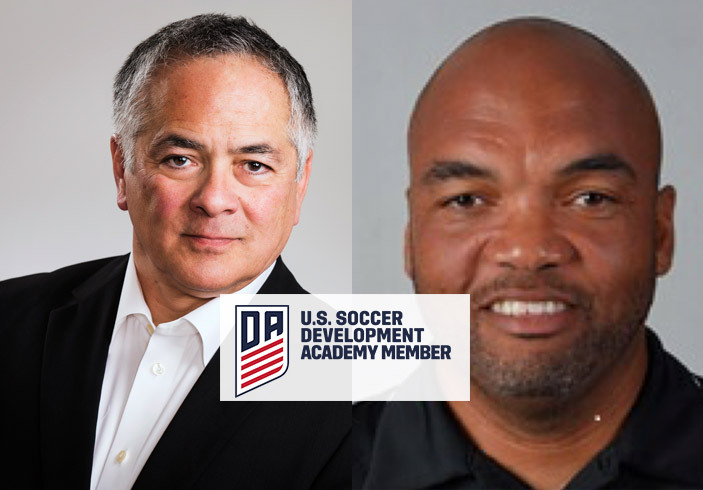 Top coaches join California Odyssey to lead 2007 Boys United States Development Academy!!! Great news for talented soccer players born in 2007, aspiring to experience top level coaching and competition. As the only club in the Fresno/Clovis area with formal affiliation to the United States Soccer’s Development Academy (USSDA), California Odyssey is pleased to announce that two very experienced and A license coaches, Robin Kane and Antonio Brimmo, have joined its ranks and will lead it’s USSDA team. For the upcoming 2018 season, that program will be represented by the 2007 boys age group. Kane needs almost no introduction. He has been one of the area’s most respected, successful and top credentialed coaches. “He is a huge addition to Odyssey and our Development Academy. He is local product, a highly successful professional, and a coach with a long and proven tenure in our community soccer landscape” said Vitalis Otieno, director of coaching. Kane has previously coached at California Odyssey for many years, including its past USSDA teams, served as boys director for the State Olympic Development Program (ODP), and Assistant Head Coach for Fresno Fuego. Brimmo is a former Jamaican national team U17 & U23 player, with stints at several Jamaican Premier League clubs. His coaching path in the United States, has taken him to stops at Bethel University where he led the men’s program for five years taking them to the NAIA National Tournament and a #16 national ranking. Brimmo has coached high school teams in Florida and Iowa. Prior to joining Odyssey, he coached for Florida Kraze Krush, Orlando City Soccer Club and Central Florida Kraze Krush on both the boys and girls sides. His U12 squad, just recently won the Florida State Cup. Both Kane and Brimmo are well aware of the value and brand recognition that California Odyssey enjoys locally and beyond and both will work in partnership to bring their new task to aspiring heights. Welcome Coach Kane and Coach Brimmo!! !